Jim Atwell’s newly released “A Fable of Grace” is the incredible story of Cadeau, a boy born in nineteenth-century France, curiously deformed but destined to be a saint. “A Fable of Grace” from Christian Faith Publishing author Jim Atwell is a heartrending but inspiring tale of a boy named Cadeau (French for “gift”) who was born in nineteenth-century France into the family of a small-town mayor praying for a son, a prayer answered most unexpectedly with the delivery of a boy born covered with fur and a miraculous talent for singing—and it is this deformity that sentences Cadeau to a life of loneliness and seclusion. However, his musical gift allows him to touch and forever change the lives of other “monsters” hidden in a former chapel. 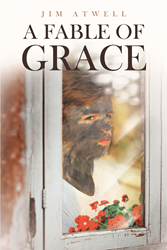 “A Fable of Grace”: the moving story of a deformed boy who becomes an unexpected saint for society’s outcasts. “A Fable of Grace” is the creation of published author Jim Atwell, a retired Quaker minister turned full-time lecturer and writer with master’s degrees in English and theology and a doctorate in English literature, born in Annapolis, Maryland, and now happily living in New York with his wife and their animal companions. Well, it was not a gorilla; and not, as the midwife, who fled to the kitchens and shrieked to the buxom cook, fanged and covered with coarse hair. He was, however, covered head to foot with soft fur of pewter gray, as smooth and luxurious as a cat’s. Only his palms and soles of feet were bare of it. On backs of hands, feet, and on his face, the fur was short and as soft as gray velvet. Published by Christian Faith Publishing, Jim Atwell’s new book is an astonishing fable in the truest sense of both words, a story that will simultaneously bring tears and elation and inspire compassion in the hearts of all who read this tale. Equal parts humorous, poignant, despairing and hopeful, Cadeau’s story is an instant classic that offers a fictional patron saint for those who have never felt quite normal or accepted. View a synopsis of “A Fable of Grace” on YouTube. Consumers can purchase“A Fable of Grace” at traditional brick & mortar bookstores, or online at Amazon.com, Apple iTunes store, or Barnes and Noble. For additional information or inquiries about “A Fable of Grace”, contact the Christian Faith Publishing media department at 866-554-0919.